Depending on how you look at things, 2017 has been a year of frequent disaster and existential fright. Of course, it wasn't all bad, but at many points the feeling of tension, hopelessness and righteous anger was palpable. Either tragic events are becoming more frequent, more documented or our processing of them has changed. Events of 2017, while often tragic, fit in context within many longstanding patterns. Everything from mass shootings, to sexual abuse, to climate related catastrophes are sadly not out of the ordinary. These tragedies are expected to the point of collective despondency. The speed in which unwanted change is proceeding casts wide shadows across all corners. Maybe this is all a manifestation of ubiquitous social media and the endless news cycle? The way we consume or are constantly bombarded with streams of bad news is taking its toll, especially on those unequipped with rations of spiritually replenishing techniques. Opportunities to feel sad or angry appear to be in easy abundance while joy and contentment have to be worked for. I don't think anyone really wants to be angry or depressed. We are beaten into these states either from internal biological processes or in reaction to external pressures. While sadness and anger are perfectly "normal" states of mind to pass through and are in fact necessary human emotions; becoming stuck in perma-rage has a paralyzing effect. What we allow to hold space in our minds ultimately molds our moods and attitudes. In a sense, we program our brains in a way that only human beings have the capacity of doing. Amazingly, despite our ability to self-program, too many appear comfortable allowing dubious influences to direct that vital programing for us, which they are more than happy to do. If our thoughts don't directly manifest our exterior reality, they absolutely color and give shape to it. I am convinced that over the long-haul, internal dialogues we have with ourself ultimately steer us towards behaviors and decisions that very much create an exterior reality. One way or another, thoughts create our experience. Personally, when I get bogged down in negativity and darkness, turning my gaze to people more naturally inclined towards optimism usually reorients my perspective. It's on that note that I introduce the subject for the following piece. Someone, I'm sure who needs no introduction to most readers on a site like this one. 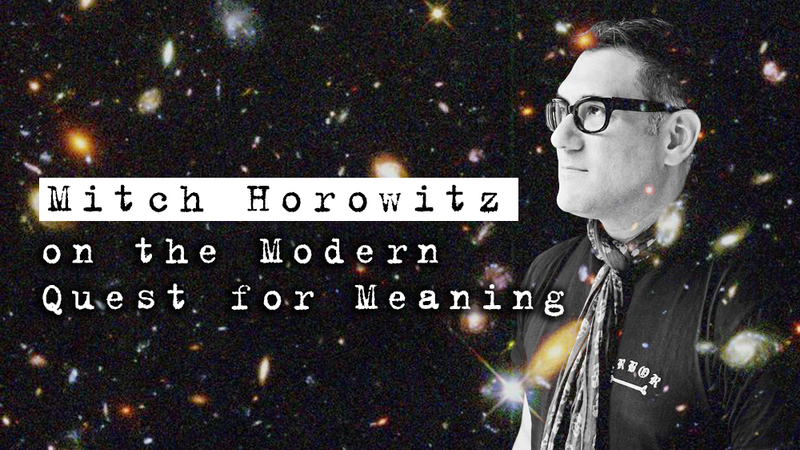 Mitch Horowitz has built his career on mainstreaming once culturally taboo subjects. 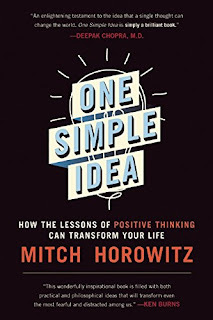 More than that, Horowitz has proven to his readers that occult beliefs and practices have already, under different guises, been embraced by the masses to great effect. I really wanted to reach out to him at this challenging time to gather his unique perspective on some pressing issues I wrestle with both on the esoteric and political level. Some of his answers reassured me while others surprised. He is no doe-eyed daydreamer. Rather, he looks upon our deep troubles squarely and makes a decision to move towards empowerment rather than disenchantment. It could be that this all comes naturally to him but I suspect that a large measure of it comes from the historical examples that inform his life's work. Particularly in his book Occult America, he acquaints us with people who lived in the worst of times. From slavery, to war, to economic depression; the individuals Horowitz brings forth are revelations for having devised modes of understanding and living that defied the conditions of their circumstances. Living in defiance to a popular culture of violence, cynicism and selfishness is a powerful act of magic if you ask me. At times simply reframing trials of fire as prerequisites to the quest for meaning can powerfully transmute senseless disturbances into rites of passage. Without struggle, challenge or pain, there is insufficient meaning. No hero that ever lived became one by living free of conflicts. Our mythical and spiritual heroes remind us of our power and we need them more than ever. As a publisher and a writer, there's no overstating the importance of Mitch's efforts for our culture. He makes available to us ancient wisdom and approaches that stand the test of time and have a durability designed precisely for rough going. These modes of being call to us from our deepest ancestral memory and knowing. REMEMBER YOUR DIVINITY AND THAT ANYTHING IS POSSIBLE. Say it’s dawn at the Horowitz house – How do you start each day that roots you in spiritual thought and practice? Well, it changes based on need. 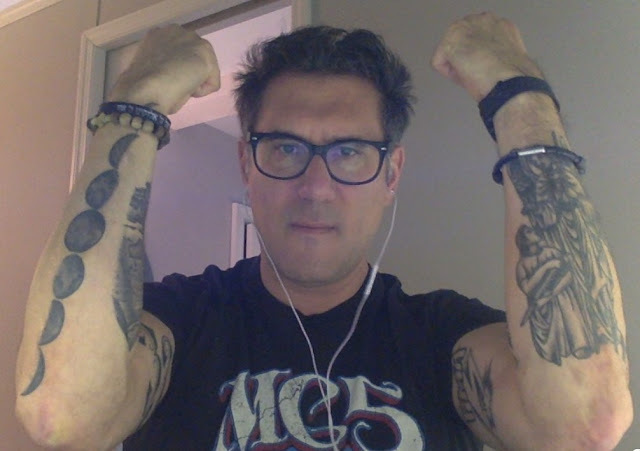 I am dedicated to Transcendental Meditation, so I began this morning that way—but I go through various periods where I may start the day with another practice such as prayer, or a deeply felt meditation or intention, while still in an impressionable half-awake state, focusing on something I hope to accomplish that day. In a video for your new book One Simple Idea, you reminded me of that possibly immortal phrase from the Little Engine that Could – “I think I can, I think I can, I think I can.” For you and others, this is not a naivety of childhood fantasy but a very real and solid structure of belief that can influence outcomes in all of our lives. Why are thoughts causative? Our conceptions of the mind’s influence have continually been expanding over the past 150 years—in every field of study from cognitive psychology to placebo research to the hard sciences. Ironically, ours is something of a “lost generation” in terms of ESP or psychical research, which is valid, but has been temporarily buried by pseudo-skeptics. Even with that, we are facing questions about the mind’s potential that challenge our conception of being human like nothing confronting the Western world since Darwin. The “missing link,” for our time, is the question of why the mind seems to affect things. In my forthcoming book The Miracle Club I attempt a model of mind metaphysics. In short, I theorize that we do not manifest outcomes but select them from infinite possibilities based on our intensively focused and emotionalized thoughts. This is based in quantum theory but there are also personal moments, recorded by many people, where time seems to collapse and we experience multiple realities. In your years in publishing, what are you most proud of in terms of a book project that came together? I am most proud of breathing new life into the metaphysical classics, such as The Secret Teachings of All Ages by Manly P. Hall, which was a kind of underground book and is now a metaphysical staple, read almost everywhere. 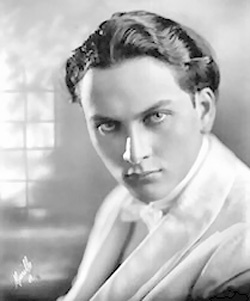 It has a broader readership today than it did during Manly P. Hall’s lifetime. Also, the revival of interest in Napoleon Hill is due largely to a new edition of Think and Grow Rich that my colleagues and I published in 2005. There are lots of books of which I am proud, and authors I felt honored to work with including, in the past few months, Gary Lachman, Kate Jegede, and Peter Bebergal. Ancient Hermeticism moved into the modern world during the Renaissance era and down through the magical initiatory societies of the 19th century who forwarded some pretty specific ritual practices. 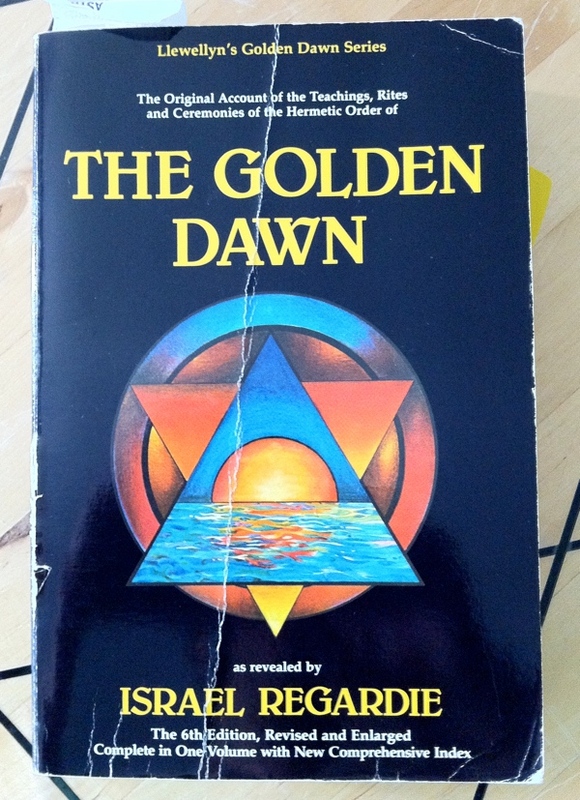 I’m thinking about the Hermetic Order of the Golden Dawn as one example. Is it necessary to practice magic in order to engage with Hermetic philosophy or is it a broader tradition, accessible to anyone? It’s not necessary to practice ceremonial magick, although it’s certainly a rich area to explore and experiment with if you’re drawn to it. Personally, I don’t think people should get excessively hung up on the rites and rituals devised by occult orders or personalities in the late-nineteenth century, because they were working out their own modernist ideas based on threads of ancient tradition—these were not time-hallowed practices but modern adaptions and inventions. That doesn’t render such work invalid by any means, but I don’t elevate it to liturgy. In fact, we may have greater access to, and translations of, ancient sources today than did our Victorian forebears. My principle is that the seeker or occultist should become as ardently self-educated as possible, and search from that point. For example, you can now choose from among some excellent translations of Hermetic literature, unavailable to past Western generations. Or, if you’re interested in astrology, you ought to know something about astronomy, and read ancient astrological works, as well. Strive to understand what aspects of the tradition, such as Mercury Retrograde, are modern in origin, and, for example, why the West maintains a tropical system (i.e., keyed to seasons and unmoored to the changes in earth’s vantage point) while the Vedic astrologers employ a sidereal system (i.e., mapped accurately to current astronomical phenomena). Be intensely curious about all this—and devise your own practice. That may mean borrowing from the past or present; but don’t get stuck with your head in a book of rituals trying to memorize things, unless that’s a truly alive practice for you. Along the paths of spiritual development, I’ve encountered a couple of distinct paths. One being the secret society notion that individuals by themselves or working solitary are not likely to get very far without their past down wisdom only accessible through their direction. The other idea comes from sources like the Quakers and the Transcendentalists who advise that the way to truth is found only within individual experience. How would you direct seekers? Generally speaking, I do not think highly of the secret society model, since there are so very few today with any authentic lineage. Freemasonry certainly qualifies—and there are some outstanding people working with the esoteric ideas of Masonry, such as writer Angel Millar. But there is also a hierarchy in Freemasonry that—depending on the individual or lodge—elevates rank and privilege above any kind of spiritual search or ethical development. So, within Masonry the individual seeker must find his close colleagues based not on badge or rank but personal affinity. As far as other secretive groups, they are usually caught up in some degree of pageantry and ego, often with no greater esoteric ancestry or authority than Ralph Kramden’s Raccoon Lodge. 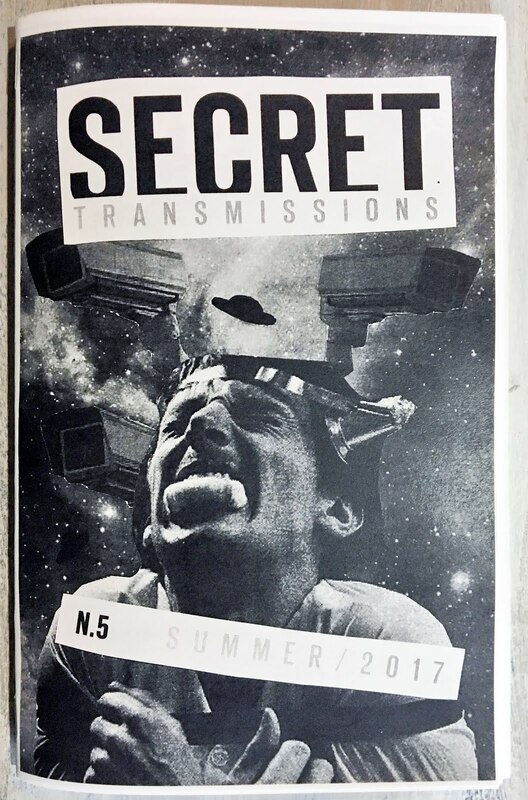 Real secrets don’t announce themselves. You take friendly aim at the European revivers of the ancient wisdom traditions for perhaps jumping to some conclusions about “only dimly understood rituals.” You also write that the 19th century avant-garde magicians lathered over these ancient teachings with modern day fantasy and theatrics. What led you to that impression and where does that ultimately leave the authority of those Orders that still exist in some way. I’m not negative toward these orders, I just think they have to maintain a true understanding of their origins, and not get lost in the idea that they belong to some kind of uninterrupted family tree extending to antiquity. That is, unfortunately, not available to any of us. But new traditions and newly devised rites, rituals, and methods are entirely valid. I honor new religious movements. I am part of them myself. I just don’t want people to adopt histrionic or ersatz ideas about their own historical authority or lineage. Since you gave special consideration to American occultism, can you comment on the links that bridge the Transcendentalists to the Spiritualists and Theosophists who profoundly influenced our alternative spiritual scene on this continent? Educated Americans got their first taste of Eastern philosophy and Hermeticism through the writings of the Transcendentalists. The Transcendentalist writings also opened Americans to the idea of an individual spiritual search, outside the parameters of established faiths. This spirit of independence was followed on by the Spiritualist movement, which saw itself as quite progressive (it was composed heavily of suffragists, abolitionists, early socialists, and so on), and also posited a supernatural search without intermediaries, other than a medium. By the time Madame Blavatsky arrived on the scene in the early 1870s, Americans were capable of understanding some of her reference points about a hidden occult philosophy, mysterious Eastern adepts, and the idea of a radical personal search, which later induced Madame Blavatsky to venture to India. She became one of the first well-known Westerners to blaze that path. All of these currents—Transcendentalism, Spiritualism, and Theosophy, along with influences from Freemasonry—folded upon one another to shape America’s culture of alternative spirituality. What three esoteric hot spots in the United States should all occult lovers visit? The first would be New York City to check out Grand Central Terminal; the Lamasery on the west side where Madame Blavatsky held court; and other areas touched by occult design and congregation. I deal with some of these places on my Occult New York walking tours, which are dormant right now but I am thinking of reviving. Southern California became the New Age hot spot starting around World War I, and there are sites beyond mentioning there. 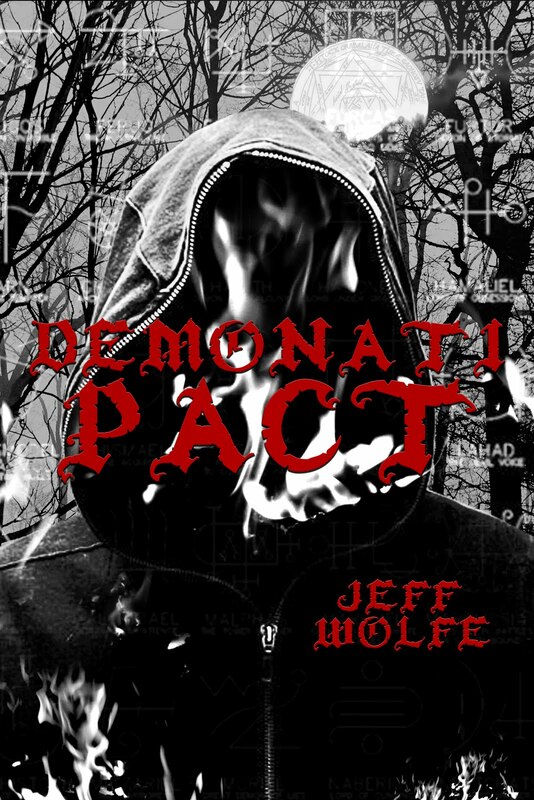 Finally, I would visit the Burned-Over District of Central New York State, which I write about heavily in Occult America. 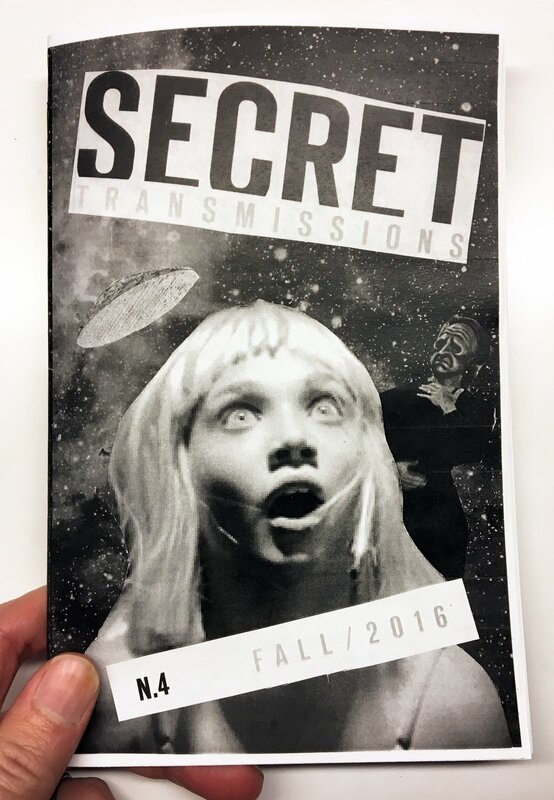 Are the Mormons and Scientologists participating within the framework of what we might consider magic or magical thinking? Well, both movements are quite different. Early Mormonism was shaped by some of Joseph Smith’s earnest occult interests, ranging from astrology and clairvoyance to Freemasonry, which was a considerable influence on the church’s rituals and symbols. L. Ron Hubbard was impacted by America’s positive-mind culture, and by the magickal ideas of Aleister Crowley, all of which he took in his own authoritarian and somewhat power-hungry direction, to great influence. How about professional athletes? Aren’t there a lot of cases of lucky charms, rituals, and other forms of reliance on unexplained phenomena to enhance performance? I was just at a Barnes & Nobles where anyone can buy Tarot decks, a set of Runes and books by Aleister Crowley. I popped over to a Fed/Ex print location and they’re fully stocked with The Secret books, The Power of Positive Thinking, etc. If the brand of “magical occultism” has not been accepted, certainly pieces and practices that originate there have been. Are Americans or Westerners willing to take this stuff on when it’s couched in and around ideas of “self-improvement,” or getting a competitive edge? Or is it something deeper? 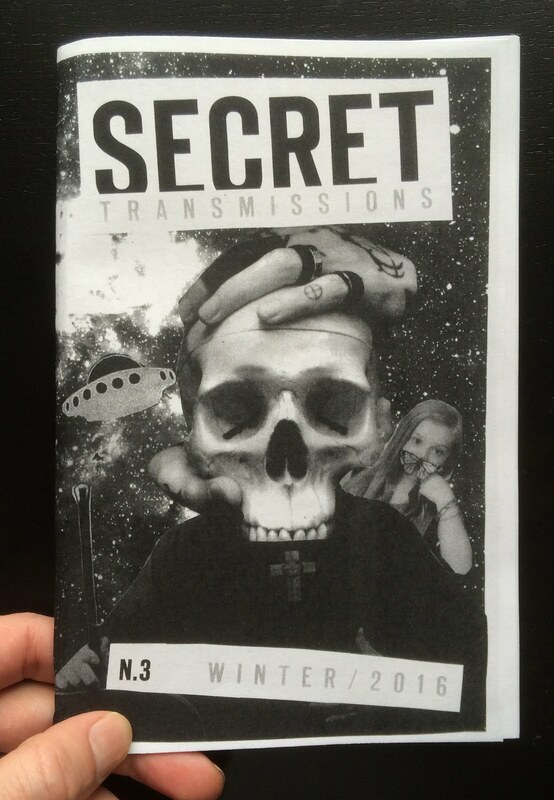 Actually FedEx/Kinko’s now carried my “deluxe edition” of the mind-power pamphlet It Works, which is a really deep dive into American metaphysics. So, yes, occult texts and methods have been widely embraced. 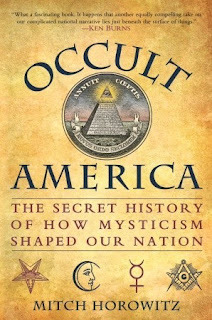 As I write in Occult America, many of our self-help ideas, even some that are considered very mainstream, are rooted in practices that were, at their inception, seen as occult. Now, Americans tend to embrace ideas and techniques while discarding their outer wrapping. 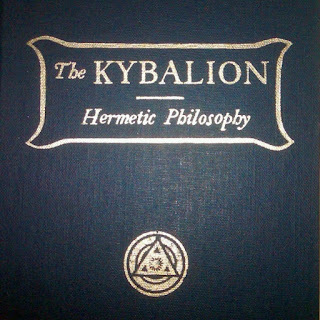 So, relatively few people think of or label themselves as occult, mystical, or New Age—yet their bookshelves may be lined with such books. New Thought—the principle that thoughts are causative—is the template of most self-help, but you’ll rarely encounter that term today. So, the methods are embraced but are quickly unmoored from their associations or roots, which isn’t necessarily a bad thing but it obscures our history. How would you distinguish between mysticism and magic? How important is the distinction? I regard mysticism as the attempt to have a direct experience of the Divine. Magic, or magick as I prefer it to distinguish from stage magic, is the act of attempting to wield invisible forces in accordance with one’s will. The mystic needn’t be a magician, although I think the ceremonial magician does, in some measure, need to be a mystic, at least assuming that he or she is dealing with sacred forces. With magic orders, I’ve encountered a high-degree of scientific accuracy and efforts at repeatable outcomes. Is that type of approach and rigor necessary to make spirit contact in a meaningful way? Well, magick and mind-metaphysics, as well as ESP for that matter, can be highly elusive and fleeting in their results. That doesn’t mean that the results aren’t real. But I suppose it can be said that magick likes to hide. It’s not dentistry. It will not yield itself to predictably repeatable outcomes. The same can be said of love. In all your research have you ever encountered a story or situation where a person caused themselves harm by engaging with occultism? Frankly, I think I’ve caused myself and others harm on at least one occasion. I made the mistake of acting on a piece of supernatural counsel without verifying it by other means, including ethical means. I am dedicated to never doing that again. You must draw upon a wide range of knowledge and information when taking an important step in life—that can include information obtained in an occult way, but I would not stop there. You must also ensure that your actions comport with classical ethics. I advise people to always have at their backs a perennial religious or ethical teaching when exploring the occult. And never trust a sole source, no matter how much you might want to. 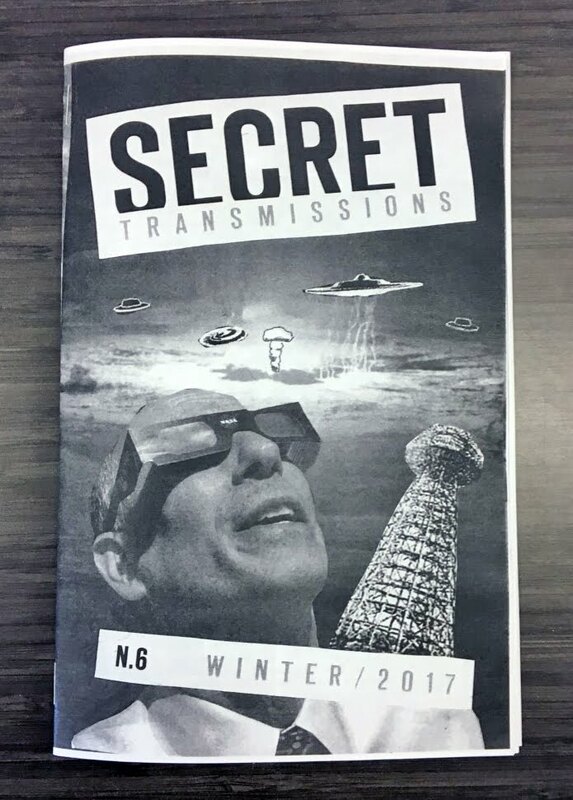 Researchers with firsthand knowledge have told me that the Russian military has continued to use information obtained from remote viewing or ESP; but intelligence officers pool that information with other sources to see if it coalesces. Extra-physical data becomes one source among others. I advise making a personal practice of that. 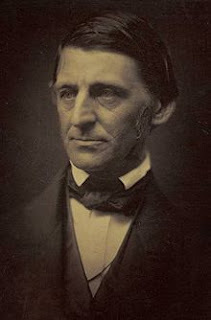 In his journals, Ralph Waldo Emerson wrote that he conducted his experiments as matters of the mind, so that if he was wrong, there would be time enough to glean that truth before risking injury to himself or another—I think there’s much to recommend that practice. I believe, personally speaking, that all emanates from One Source, although that Source can form a diffuse spectrum. So Hinduism has an pantheon of gods but only one Krishna. Is there a difference in outcome to the practitioner whether they believe that gods, angels or other spirits are actual entities with sentience or they’re archetypes like Carl Jung and Joseph Campbell described? I see a difference in believing in supernatural entities—which I do—and feeling that it’s all “in the mind.” The difference, in short, is that one can petition entities, such as a saint or guardian angel, and such extra-physical communications may possess greater gravity or potential, although not always. When Aleister Crowley transcribed his magnificent Book of the Law, was the philosophy coming from his subconscious or conscious mind—or was it channeled to him from a higher entity named Aiwaas, who itself was an intermediary? Well, if the ideas emanated strictly from Crowley’s psyche, they’d still be powerful—but they wouldn’t have the same scriptural significance. There wouldn’t be a sense of cosmic order and rightness at the back of these ideas. So, there is quite a difference in believing in man’s expansiveness as a thinker, and in seeing him as capable of receiving supernatural or higher communiqués. Do you feel that all the various pagan gods originate from a single All or singular Oneness that emanates creation downward or is everything that exists the creation of the many gods? That is a wonderful question. Frankly, I do wonder sometimes whether humanity has unknowingly neglected the ancient gods, such as Mercury and Isis, and that a direct appeal or petition could be made to these entities. A Reconstructionist movement could seek to resurrect Western veneration of the Egyptian-Greek lexicon. What would happen? We don’t know. I also believe in the divinity of Christ, and I do feel that the moral philosophy he brought is the most sublime in human history. So, it may be that Christianity surpassed the ancient lexicon. It may also be that within Hermeticism, the practice of which I urge a continuation of, the individual seeker could find terms of reconciliation between the ancient gods and Christ, as some Hermetic thinkers and early Christians themselves did. Do you have a dualist or non-dualist perspective? Actually, I’ve never been hung up on that question or line of distinction. I think it’s somewhat artificial. The sacred and the physical, and so-called inner and the outer, coexist and are part of the one whole—does that make me non-dualist? Some people criticize me for being outer-focused, for mooring spiritual ideas to concepts of worldly success, to which I plead guilty, with qualification. They would call me a dualist. I find the whole line of distinction artificial and leading away from the scent trail of truth. It’s pedantic. Are the answers to the previous couple questions always necessarily bound up in a person’s particular worldview? Is there any way to verify the origin and operations of existence or are we all just selecting based on preference? We rely upon experience and conduct. What one encounters and what one does with that encounter must have some kind of concrete bearing on relationships, behavior, and the conduct of life. These things must be palpable and demonstrable. Unless you’re a clinician, like JB Rhine or Dean Radin running extraordinary ESP experiments in controlled laboratory settings, the only empiricism you possess of that of personal experience. Aldous Huxley wrote about a Perennial Tradition uniting all religious thought. Is it through instinct that some arrive at perennialism or are there more solid reasons for coming to that belief? Perennialism is a dicey subject. Some religious scholars believe that it smacks of everything that is unrealistic and fuzzy about alternative spiritual thought. Some religious thinkers take pains to point out that traditions are not the same—the Hindu, the Jew, and the Catholic all seek different ends, and ways and means of arriving. If you dig deeply enough, however, I think you do find points of convergence in faith, and that broad intentions begin to bend in unison. So, I do not view perennialism as a fantasy, and I think you’re right that some mystics arrive at it by instinct, which runs deeper than doctrinal agreement or disagreement. Mythology is intimately intertwined with magic, whether it’s Norse, Greek, Egyptian, Celtic or other. But let’s say that you don’t feel compelled to join a group ruled by a specific pantheon but are nevertheless deeply moved and inspired by these deities and want to make them a part of your spiritual life; how might that be achieved? Well, to share a personal story, many years ago on Canal Street near Manhattan’s Chinatown, I discovered an old office building that had a beautiful profile relief of Mercury above its entrance. Apropos of what I was saying earlier, I harbor questions about the lingering energies of the old gods. I made a practice, for many weeks, of taking the subway to that slightly out-of-the-way place every morning and praying to that image of Mercury. I used to stand on the sidewalk in plain sight and pray in front of a very nice and indulgent Latin American woman who sold newspapers from on top of a milk crate in front of that building. I don’t know whether she thought I was crazy—there is a greater tolerance and embrace of occult religious methods in Latin America, so I might not have seemed very odd to her. In any case, I venerate the personage and principle of Mercury, and this was a means of expressing that, as well as petitioning favor. I felt some satisfaction, though no sense of conclusion, from this act. I strongly believe that no one has to join anything, or seek validation from anyone when conducting an experiment. Traditions arise from experiment. I heartily encourage individual experimentation backed up by some kind of education and immersion in the history and practices of what you’re attempting. I know you have a relationship with Transcendental Meditation. Is their secret mantra any more demonstrably effective towards growth than any other mantra or style of meditation? I personally find the mantra extremely effective and relaxing; I encourage the practice. I’ve meditated this way since December 2008. One immediate effect was that, after a few prior years of false starts, I became a vegetarian. I didn’t expect that. I think TM has helped me to write faster and think better. My wife has remarked that my output has grown more productive. As far as other changes, I have to wait and see. David Lynch is one of my personal heroes. What is the extent of your interaction with him? 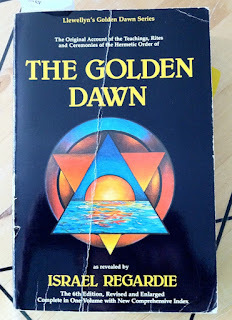 Aside from TM, is he also versed and influenced by western esotericism? 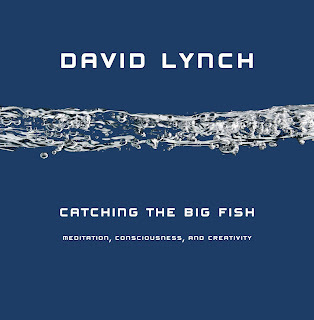 My contact has been limited, though I had the privilege to edit and publish his book Catching the Big Fish. 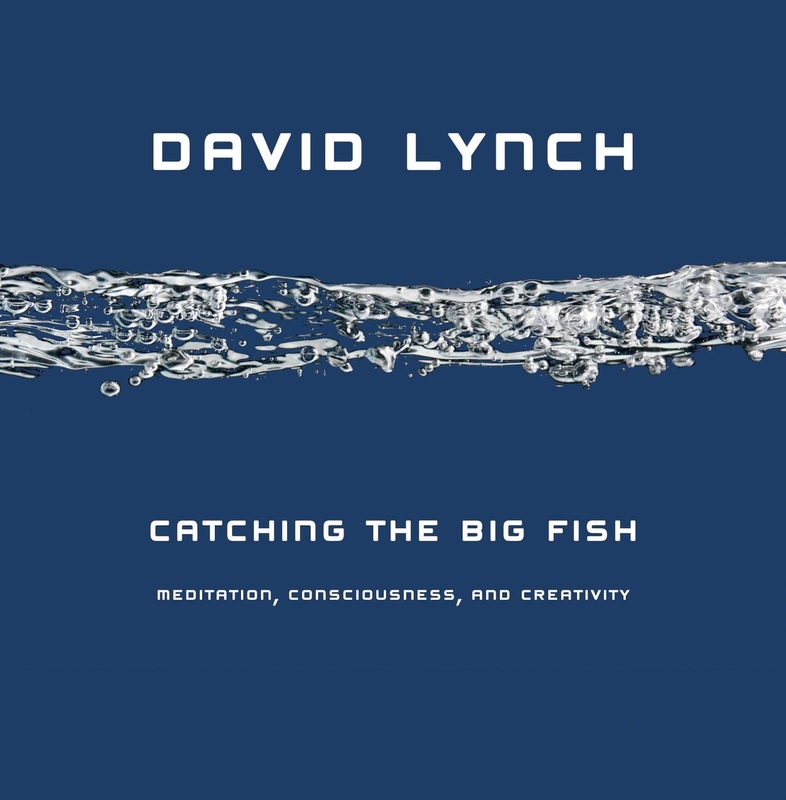 The first time I actually felt like David’s editor was in 2016, about ten years after Catching the Big Fish first came out, when I interviewed him for the public radio show Interfaith Voices. It wasn’t the first time I interviewed him, but it was the first time that I felt our conversation was genuinely freewheeling and collegial; that we spoke as equals. I’ve never gotten the impression that he’s been influenced by Western esotericism so much as by the Vedas, the teachings of the Maharishi Mahesh Yogi, and by his personal experience of TM. 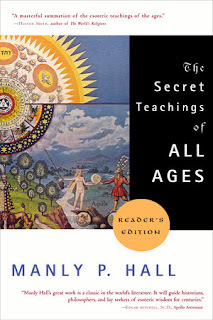 Manly P. Hall is profoundly interesting to me for his scholarly achievements and commitment to cataloging all the world’s mystery traditions. To the best of your knowledge, what practices did he actually take up for himself for his own development? I think his practices were mostly contemplative and intellectual. He venerated, and derived personal and ethical meaning from symbol and myth. He had a beautiful Buddhist altar in his office, along with lots of sacred statuary. Obadiah Harris, Manly’s successor at the Philosophical Research Society, told me that prior to exiting his office to speak at PRS’s auditorium, Manly would rub a small statute of a cat, a creature venerated for seeing in the dark, asking for higher sight for himself. Those kinds of practices were central to him. He took meaning from all the world’s religions, and wove their rituals and insights into his daily goings and comings. What do you see as the fundamental difference between Eastern and Western mysticism? Many think the East has always had it better figured out or worked through and point to actualized gurus to validate that notion. Does the ball bounce back and forth historically? That’s a very challenging question and I’m not sure that my answer will do it justice. I am not certain that Eastern religious ideas of non-attachment are always suited to the needs of the seeker. I subscribe more to Christ’s dictum that we all live, always, in two worlds: that of Caesar and that of the transcendent, and we owe ourselves to each. Some would find this a glib observation, which doesn’t do sufficient justice to Vedic or Buddhist ideals of non-attachment, and I don’t mean to brutalize a hallowed idea, which I cannot profess full understanding of. But I do think that Eastern and Western ideals must complement and complete each other. I find that spectrum of completion present in Christian thought as regarding earthly attainment and higher ideals. Where do you place Yoga in the broader spectrum of the esoteric or occult? Yoga is an Eastern idea, both ancient and modern in its variants, which entered Western awareness via the opening created by occult subcultures in the West, primarily in the late-nineteenth century. So, the occult revival provided a doorway for yoga, and for many other ideas, to reach the Western public. That is one of the reasons why I caution people not to write off seemingly weird individuals or subcultures. Innovations often come from the margins. Have you had personal experiences or anecdotes with healing or charms that convinced you of their potential? I am very interested in charms. A neurosurgeon, who admitted being very superstitious, once told me that we should always venerate concepts of “luck.” The difference between good luck and bad luck, he observed, could mean a life, and we don’t always know what’s at play. An intellect no less eminent than Frederick Douglass was given a “lucky root”—probably John the Conqueror or jalap root—shortly before the most significant moment of his life. 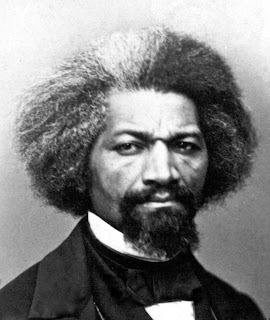 Douglass understood that whatever advantage the root gave him at that moment, where he faced down a cruel slave master, was likely “all in his head”—but he never fully discounted the possibility of some unknown force being present. He reexamined this episode in all three of his autobiographies. I consider this in Occult America. I saw that you were taking another look at Anton LaVey. What were your previous ideas about his career and are they changing? At one time, I thought Anton was just a showman—a kind of occult-themed Ayn Rand or a secularized Aleister Crowley. But I was wrong. Carl Abrahamsson, in his wonderful book Occulture, gave me a new and revelatory view of Anton as an intellect and artist. Anton was an epically self-devised figure; his insights into human nature, fantasy, environments, and the power of ritual deserve a new look. 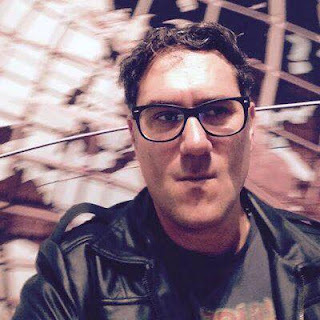 I recently wrote a reconsideration of Anton for Medium called “Good, Clean Satanism.” I would like to have known him, which is not how I felt until recently. Maybe it was the impact of the December 2017 cycle of Mercury Retrograde. I was born under Mercury Retrograde, and it’s always been a time of reconsideration for me. A big question I have for you has to do with the way in which alternative spirituality broadly speaking has intersected with social and political movements. There are lots of great examples mentioned in Occult America. To set the stage, is it Utopianism that creates this compatibility? 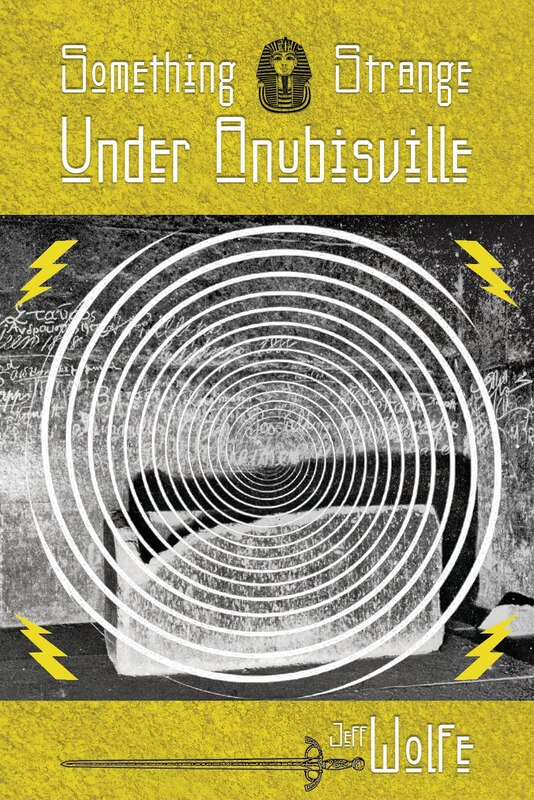 Historically, utopianism, radicalism, and perfectionism have always intersected with the occult in America. The tendency to want to surpass the given in terms of human possibilities served to unify Spiritualists and suffragists in the nineteenth century—those two cultures developed like a twin DNA strand. Most spirit mediums, for a time, were involved in suffragism, and many suffragists were sympathetic to Spiritualism because it was the one cultural sector where women, in the form of mediums, could serve as religious leaders. This was a dramatic breakthrough in the culture. I was particularly interested in your depiction of Indiana minister Wallace D. Wattles. Who do you feel most potently and effectively married an inner mysticism with an outward program of direct action and struggle? 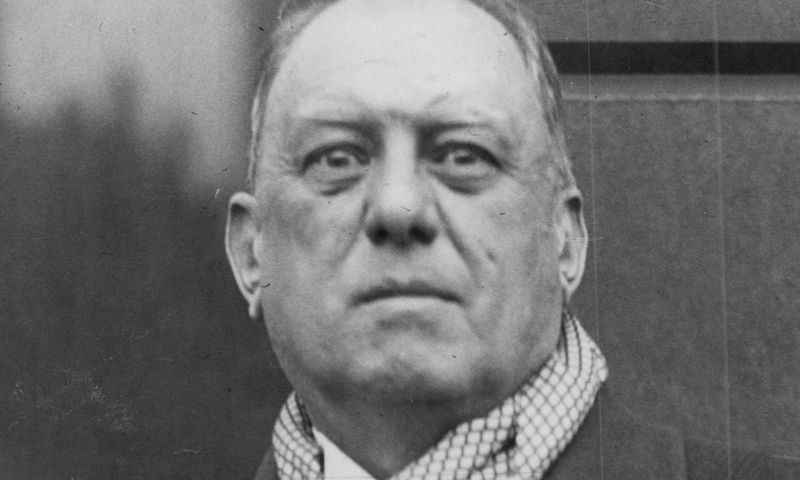 Wattles ran for Congress on the Socialist Party ticket in 1908, two years before he published his mind-power classic The Science of Getting Rich—he believed that social progress and mental metaphysics ran on the same evolutionary track. The black-nationalist Marcus Garvey felt the same way, and it has come as a revelation that Garvey’s speeches were laced with New Thought themes. New Thought publisher and writer Elizabeth Towne was elected the first female alderman of Holyoke, Massachusetts in 1926, and she and her husband were active in the formation of the Progressive Party and Teddy Roosevelt’s campaigns. These are three of the more notable figures who combined metaphysics and social protest. You wrote that in early 20th century America, two ideas took the country by storm: social radicalism and mind-power metaphysics. A hundred years later, how do you gauge their current strengths and interplay? Today the scene is more complex. 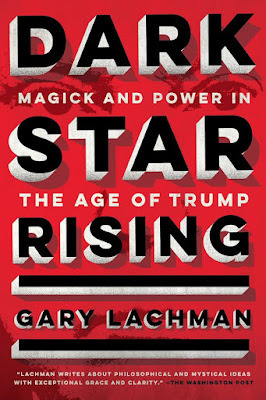 Firstly, it is important to note that there is also a rightwing New Age—when Occult America came out in 2009 I heard for the first time from Steve Bannon who was then a media executive and documentarian. As a conservative, Steve groked to themes in occult history of America being a nation of exceptional climate for spiritual search and experimentation, which I agree with. Ronald Reagan was a reader of Manly P. Hall, as I’ve looked at in the Washington Post and in my book One Simple Idea. I recently wrote a piece for Salon about the rightwing-New Age intersection. 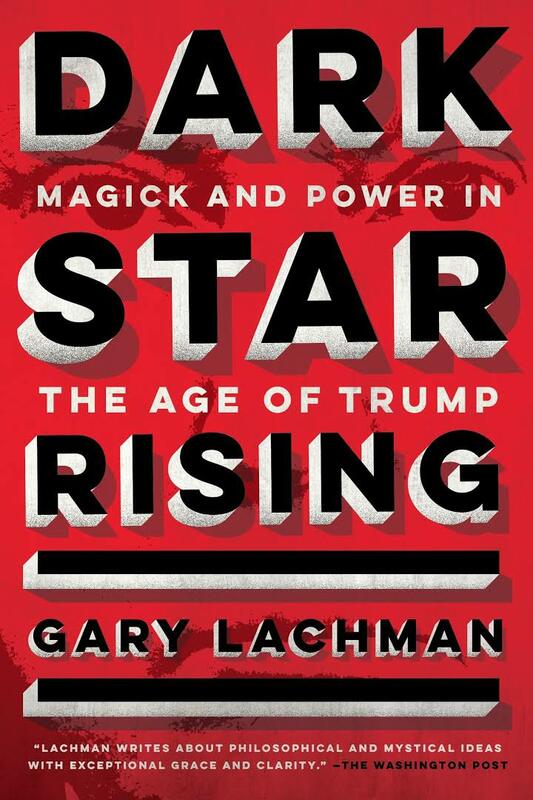 And, of course, these currents exist around Trump in the form of his dedication to Norman Vincent Peale’s Power of Positive Thinking, as well as the meme magick practiced by some of his alt-right supporters, which Gary Lachman writes about with great clarity in his forthcoming book, Dark Star Rising. By and large, the New Age culture remains progressive, although sometimes in a softly defined and fuzzy manner. Within New Thought, for example, there’s a lot of talk of “social justice” and a “world that works for everyone,” Although I agree with these principles, I find they possess a kind of eat-your-vegetables generality. By and large, the alternative spiritual culture has to make room for, and come to terms with, the fact that both political currents exist within it. Something I’ve seen a lot in spiritual circles is this idea of detachment from political action as a sign of enlightenment. Is there a source or text that validates non-engagement being superior to getting your feet dirty in the profanity of the material world? The finest source I know is Vernon Howard, who died in 1992. 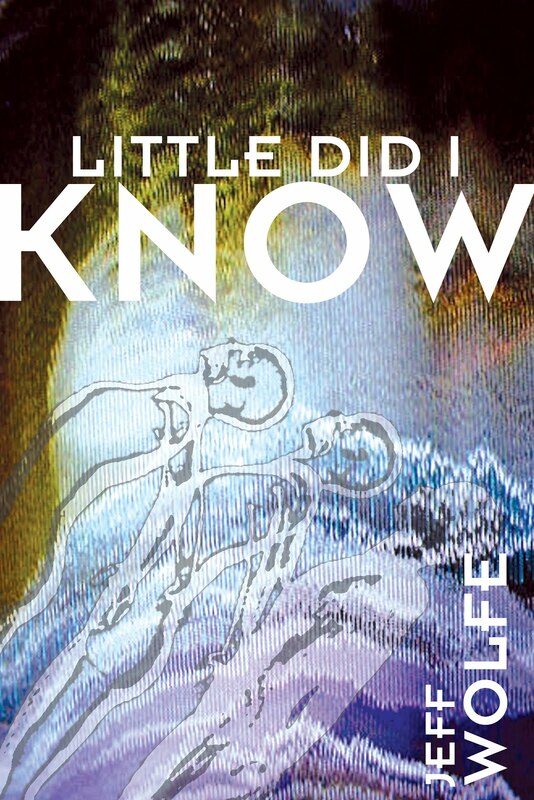 Howard emerged very loosely from the New Thought scene but in the late 1960s became an extraordinarily independent and unclassifiable voice, somewhat like Krishnamurti. He believed that human nature, unmoored from spiritual awareness, is corrupt, and that all politics is an expression of that corruption. Vernon took a radical and deeply realistic approach to the teaching of Christ to be in the world but not of it. He felt that the individual should find his or her way in material world in whatever manner is decent and necessary, but should not cultivate excessive contact with the world in the form of politics or commerce, which he felt were generally an expression of human conflict, trouble-making, and spiritual sleep. There’s a tricky idea of thinking all suffering is just an illusion and shouldn’t be regarded as real. Whatever is ultimately “real” in a metaphysical sense, has little bearing on the families being starved to death while the entitled are living a life of luxury. How can we bring a more nuanced understanding of the ideas of Maya and suffering that can actually mean something to those who do in fact suffer in ways unimaginable to most of us? I’ve written, and feel strongly, that we live under multiple laws and forces. There is no reason to conclude that all of life is subject to one mental or metaphysical super law, and you’ve alluded to one of the reasons in your question. Mortality and physical decline are inevitable. There’s no exception. So, that alone tells us that various forces at work. Hence, we also need to look for physical and social causes of suffering, along with metaphysical causes and questions. Life is a mosaic of seen and unseen forces. I don’t think our spiritual culture needs to struggle with that. 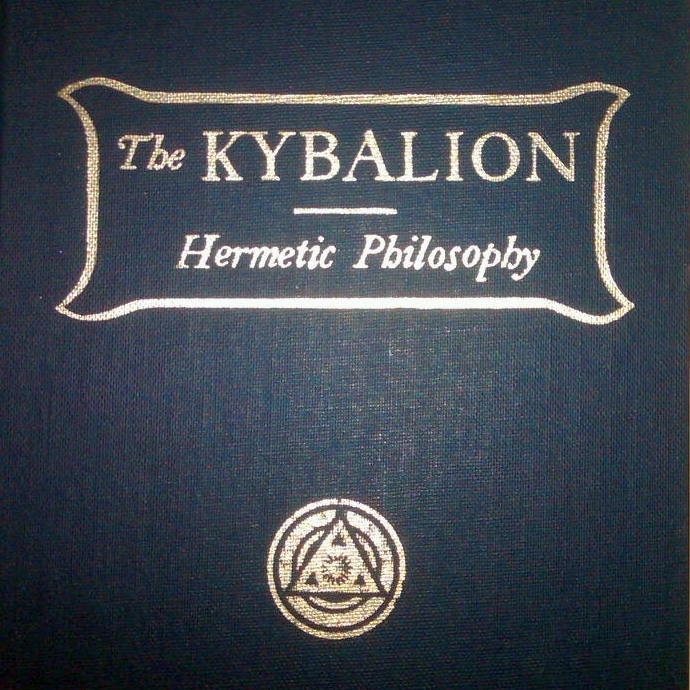 The Kybalion, the wonderful occult classic published in 1908, also addresses this question perceptively. The author notes that while the spiritual may be all that is real in ultimate sense, what we experience on the physical plane, including suffering, is trenchantly real in terms of the reality that we are capable of experiencing. You are one of the most optimistic people I have ever encountered. But certainly, we as a species face some dire threats from climate change to nuclear destruction. Is it your position that yes, these things are very serious, but humanity will ultimately correct itself in the end? No, I do not harbor hope for humanity’s future. I part ways with the New Age principle that we, as a human species, are on some kind of an upward evolutionary trajectory. I see no evidence of that. I think we are greatly polarized today between inner-development and profoundly destructive tribalism, broadly speaking. The tension that emerges from this polarity unleashes a lot of energy, both good and bad. There is, for example, a new openness to questioning the “straight story,” so you see responsible UFO reportage, for the first time in more than a generation, in the New York Times. On the negative side, there is also the growth of utterly ridiculous conspiracy theorizing from Alex Jones and company, which has gained a significant foothold within the New Age. I see no reason to conclude that we as a human community are advancing. How were the ancient Greek skeptic philosophers different to what we consider a modern sense of skepticism? Skepticism is a noble term. Today it has been largely supplanted by cynicism. To be a skeptic means to question. Yet, for example, many people who call themselves “skeptics” of psychical research are no such thing. Those who unknowingly dismiss or rail polemically against the validity of laboratory-based psi research, such as that being conducted by figures like Daryl Bem at Cornell or Dean Radin at the Institute of Noetic Sciences, are often arguing a position that is as unchanging and impervious to questions as the most hardened political attitude. They are partisans and not skeptics. 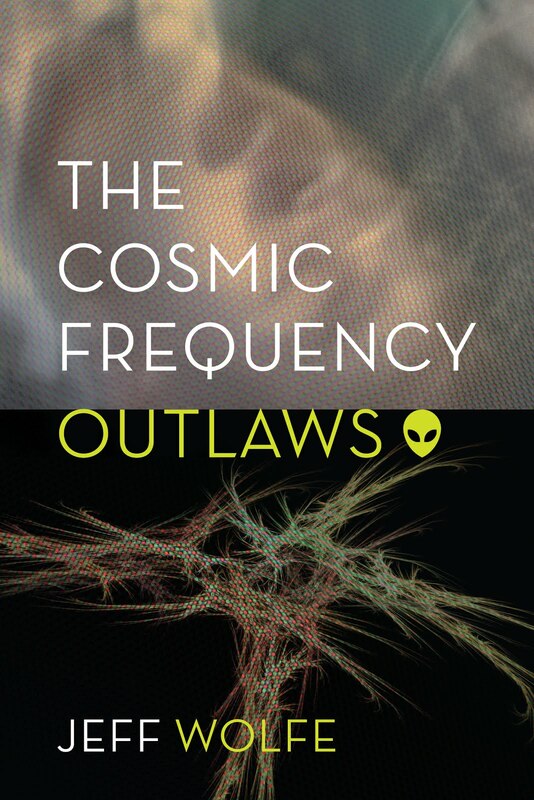 Their approach has curbed psi research in our generation. Shutting down legitimate questions is the opposite of skepticism. Does it come naturally to foresee a happy ending to whatever morbid scenario is playing out and is there power in doing so, at least in the personal sphere? I don’t so much encourage seeing a happy ending as thinking deliberatively of your options and possible scenarios, and realizing that the mind, aside from just list-making and pondering, wields a degree of influence on events themselves, in my outlook. 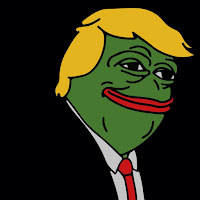 In a podcast with Douglas Rushkoff you spoke about how President Trump has connections to New Thought philosophy but has chosen to integrate it in a dark way. Who do you think this guy is deep down and why has a large portion of America embraced him? Deep down I think he’s a sentimentalist and a narcissist, who believes that the world is a brutally simple place, and he cannot understand, and grows angry with, anyone who doesn’t share that view. I do think he has an openness to Peale and some of the ideas of New Thought, which I appreciate. He’s also a demonstration of how these ideas can be used in almost any direction. I think the left, for its part, has erred in failing to appreciate the power of positive-mind ideas, and their utility and cultural hold on the public. What is the best way of dealing with the seemingly growing numbers of emboldened Neo-Nazis, fascists and authoritarians? And specifically, when they move from rhetoric to assault and murder? Well, it’s an interesting question—from time to time I hear from some people on the far-right who are interested in New Thought and with whom I have a reasonable dialogue on that topic. I am also interested in Kek worship on the alt-right, and I wish people well in seeking out non-physical expressions of reality. As far as any kind of violence, threats, or creating an atmosphere of intimidation, I believe in aggressive law enforcement. I don’t have a “position” toward these individuals so much as a deep-seated belief in a civil society, which will not tolerate terroristic or any kinds of threats. How do you view pacifism and are there situations that call for the use of violence? There’s never really been a position of pacifism in New Thought—figures like Science of Mind founder Ernest Holmes, for example, were supporters of America’s entry into World War II, and there are many such examples from the New Thought and metaphysical cultures. If someone is interested in pacifism, I think they must approach it very seriously, and learn about the traditions of Gandhi, King, the Quakers, and the Catholic Workers. It’s not a term to play with because it could mean giving your life for something rather than engaging in defensive action. In your book, you do also call attention to the way in which occult or New Thought ideas can morph to the needs of white supremacists as well as cult leaders. But is that much different than the co-opting that happens so often with organized faiths as well? I always tell people that New Thought or mind metaphysics are no different from any other vehicle in life, whether material or extra-physical. We constantly face ethical dilemmas and decisions. Do you drive after drinking a glass of wine? Do you report everything accurately on your taxes? Do you gossip about coworkers? Ethics are heightened based on the extremity of the situation, but we rarely live in extreme situations. People always want to bring up questions of mind-power and Hitler—but that’s too easy because it’s so extreme. Of course, there’s potential for abuse—but there’s potential for abuse in everything we do. I think far greater harm comes from humiliating other people, engaging in lunchtime gossip, and enjoying seeing people exposed or suffering than from any kind of magick. 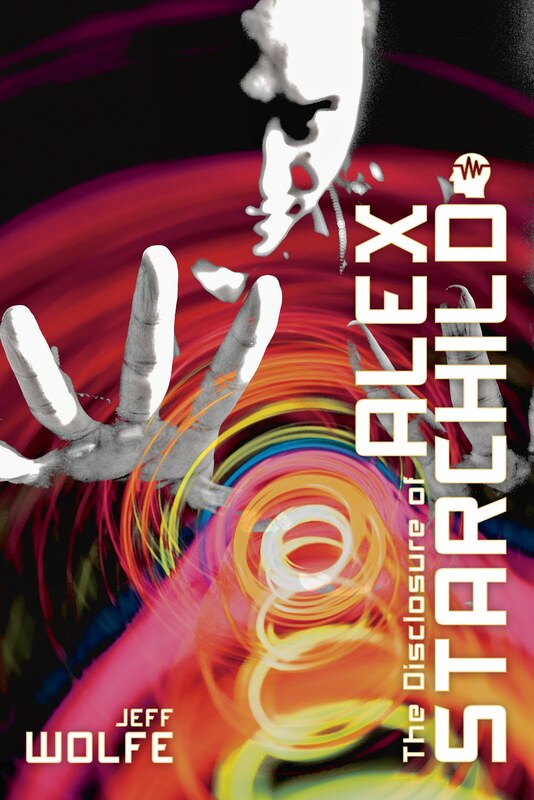 You have been outspoken in saying “Since I eschew all talk of conspiracies, reptilians, and paranoia, I have limited appeal among a segment of the occult subculture that has unfortunately given itself over to such things.” From your perspective, where did the overlap of conspiracy culture and the occult cross-over? The occult tradition in America has always pushed boundaries—literary, religious, sexual, and political. This can be a sign of health. But this tendency has also made New Age culture, which is a stepchild of the occult, susceptible to immature forms of ahistoricism and speculation. There is an overall feeling in our culture today that power structures are not accountable. That is a healthy instinct, but it has become manipulated and misdirected into profoundly wrongheaded and reactive theories, ranging from completely unmoored notions about “Illuminati” control over finance; political murders; Obama being born abroad, and so forth. Instead of understanding the recent tax bill or problems with campaign finance, for instance, some people would rather speculate over cloak-and-dagger theories of who controls us, because it’s more entertaining. Entertainment is not awareness; it is an escape from it. Conspiracism is a misdirected search for meaning and understanding. It is antithetical to self-knowledge. You can always detect conspiracism by a pattern of “us versus them” thinking, with the conspiracy theorist on the side of some vaguely conceived good. In an article you wrote for Salon, you address the abuses of power and acts of corruption that do exist in this world but you attribute a less exciting narrative than the work of shadowy-cabals. Can you elaborate your position on that? Under-regulated insurance and banking firms commit consumer frauds, or soft-frauds, all the time. These range from insurance policies designed almost never to be paid to predatory loans, resulting, in part, in the really catastrophic mortgage crisis, and smaller-scale but no less appalling crises, like credit-card and auto-loan scams, which afflict working and middle-class people. The outrage over such things is muted by the plethora of relatively cheap consumer goods; but even this bargain is starting to break down since these goods come from economies with cheaper currencies and labor, and this siphons off America’s own industrial and job-sector base. So, eventually this balance breaks down. The horrendous over-pricing of pharmaceuticals is another aspect of the crisis in under-regulation and the lack of accountability. I haven’t even touched on questions of climate change. These crises are very real. But to blame them on some kind of secret club would be funny if it weren’t really the tragic misdirection of appropriate outrage. That is what Alex Jones is selling his audience. I thought you did some funny writing and outreach about the whole Illuminati conspiracy. Basically, you’ve said, if there was one today you’d proudly be a member. Why do you consider the original Illuminati to have been a positive movement and why have they been this big boogey-man for so long? The Illuminati was, in essence, a kind of renegade Freemasonic group, founded in Bavaria in 1776. 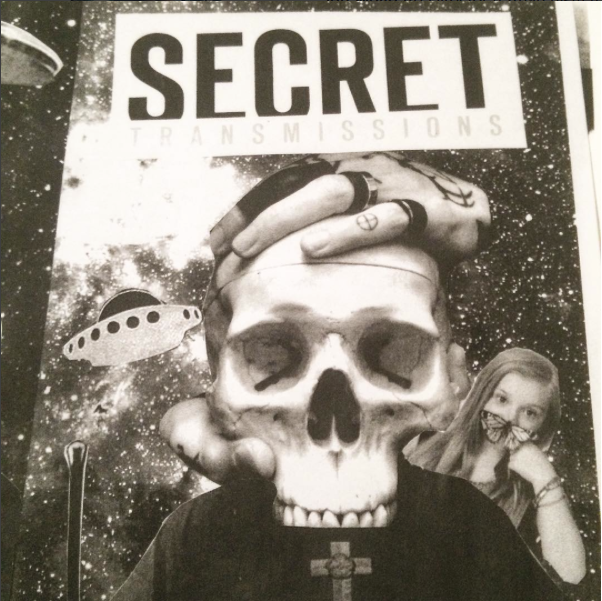 The group embraced an occult aesthetic and a radical social outlook of separation of church and state, freedom of speech and religion, and social equality. 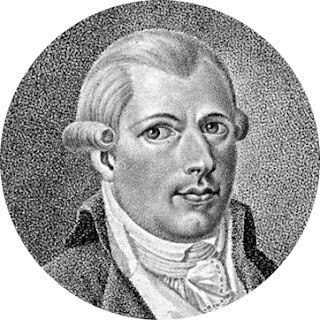 The Illuminati, as founded by jurist and philosopher Adam Weishaupt, was a combination of radical Jeffersonianism (Jefferson himself wrote sympathetically of Weishaupt) and post-Renaissance occultist and Rosicrucianism. In short, the Bavarian government outlawed the Illuminati about eight or nine years after its founding, at which point the group ceased to exist. But in the wake of the French Revolution, when the old order of Europe seemed to vanish so rapidly, and with Church-based hostility toward Masonry running high, a wave of conspiracy theories swelled about the Illuminati being the hidden force behind the revolution—as if the social forces that ignited the upheaval weren’t in plain view. This was the birth of modern conspiracism, and it flared up with successive revolutions, including the Russian Revolution. This “hidden hand” theory has persisted and led to some people today thinking that the Illuminati are communicating with us during Super Bowl halftime shows and in Disney movies. Who are the living masters of today that are worthy of worldwide attention and are they getting it? I don’t think we live in an age of great teachers today. I think great teachers are distinctly absent from our era. I’m not sure what to make of that. I think that in our generation it falls both to the individual seeker to find his way, and to activities within an authentic group, which is very difficult to find. When’s the next book coming out? Is it too soon for a synopsis? My next book is called The Miracle Club: How Thoughts Become Reality, and it is coming out from Inner Traditions in October 2018. The book is my assessment of where we are after 150 years of mind metaphysics in the West—I explore what techniques work, and attempt to provide the reason why. It is a very practical, hands-on book of methods and exercises. It is also an effort to bring intellectual seriousness into the mind-power and New Thought field, which we haven’t seen much of since William James died in 1910. I attempt to provide a working theory of why thoughts have causative properties. The title The Miracle Club was the name of a group of pre-Theosophists gathered together by Henry Steel Olcott in New York City in the 1870s. Their goal was to study the supernatural, but the group faded. This book takes up where those ancestors left off. simonsholidays There is no greater feeling than having your bags packed and knowing you’re ready to go on your next adventure – it’s almost as if our eyes open again for the first time. We travel not to escape life, but for life not to escape us.